If you’ve been diagnosed with chronic or episodic cluster headaches, you’ve undoubtedly heard that it’s a “rare” condition. But, is it? Approximately one in a thousand have cluster headaches, and that number could be higher considering the rate of misdiagnosis in the patient community. A disease is typically considered rare when it affects less than one in 2,000 people in Europe or fewer than 200,000 in the United States. The estimated U.S. population is nearly 326.6 million people according to the US Census Bureau, which means about 326,500 Americans live with cluster headaches. Not such a rare disease, eh? While cluster headaches affect more than 200,000 people, they can still qualify for The Orphan Drug Designation program because drug and device manufacturers are less likely to recover the cost of developing a treatment. However, the qualifying criteria are so vague and complicated that very few drugs have been included in the FDA program and discounts that come with it. Additionally, Cluster Headache is listed as a rare condition by NORD (National Organization for Rare Disorders), but not uncommon enough to warrant NIH funding under the Rare Disease Clinical Research Network. When we call this brain disorder “rare,” we minimize the impact it has on patients, their loved ones, and their quality of life. We also minimize the financial strains it places on everyone involved—Drug and treatment manufacturers, insurance providers, and out-of-pocket patient expenses. Patients often spend thousands of their hard-earned income on high-flow oxygen therapy alone because Medicare/Medicaid (and therefore private insurance companies) refuses to cover the cost. If this disease is so rare, why is the number one treatment banned from coverage? The actual cost is minimal when compared to sumatriptan injections and other abortive or preventative medications. Some well-known diseases affect a smaller percentage of the population such as cystic fibrosis, which impacts around 30,000 Americans and ALS (Lou Gehrig’s Disease), which impacts just 6,000 Americans. 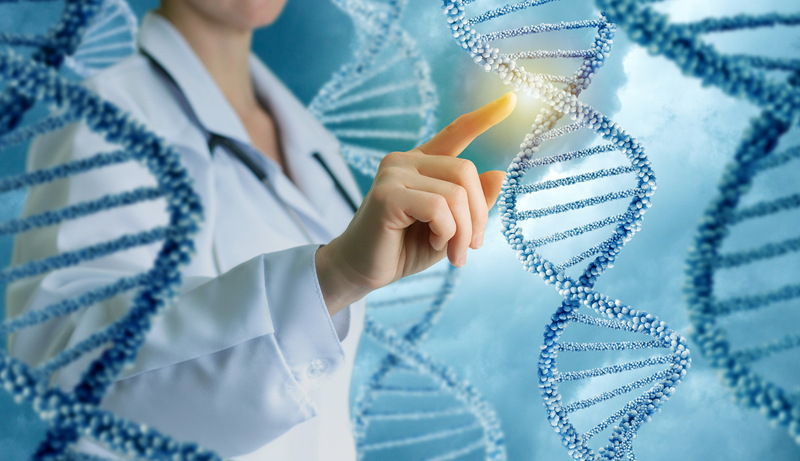 There are more than 7,000 conditions on the Rare Disease List, most of which are genetic, but the prevalence of each disease varies. According to Global Genes®, 80 percent of those with a rare disease are affected by just 350 of the 7,000 conditions on the list. How Many People have Rare Diseases? Approximately 30 million or 10 percent of the U.S. population has some form of a rare disease. Maybe they have cluster headaches or MS, or maybe they have Vampire Syndrome (Xeroderma Pigmentosum), which affects one in a million in the United States and one in 22,000 in Japan. Cluster headaches are less common than migraine and tension-type headache. They’re less common than most forms of head pain. Technically, these bouts of extreme, ice pick-type pain are rare, but they’re one of the most common of the rare diseases. Learn more about rare disease statistics. P.S. There are organizations such as Rare Patient Voice that specialize in raising awareness for less common conditions and connect patients with current research and surveys regarding their disease. I encourage anyone with cluster headaches to check out their website. If you sign up and list Clusterbusters as your referral, they’ll donate $5 to the organization. Posted on January 9, 2018 February 19, 2019 Categories Cluster headachesTags cluster headache book, cluster headache treatment, cluster headaches at the pharmacy, getting sumatriptan injections for cluster headaches, pharmacy problems37 Comments on Are Cluster Headaches as Rare as They Say? Cluster headaches are considered one of the most painful conditions known to man. Podcast Host, Jeff “Leffy” Gaston, and Author Ashley S. Hattle discuss the attacks, episodic versus chronic forms, and cluster headache treatments in the video below. Hattle is the author of Cluster Headaches: A Guide to Surviving One of the Most Painful Conditions Known to Man. The book can be purchased at https://ashleyhattle.com or on Amazon. Learn more about cluster headaches at clusterbusters.org and clusterheadaches.com. I hope you had a wonderful Thanksgiving in a home filled with loved ones, plenty of food, and zero cluster headache attacks. Now we enter that time of year for finding the best deal on the best gift for your family and friends. 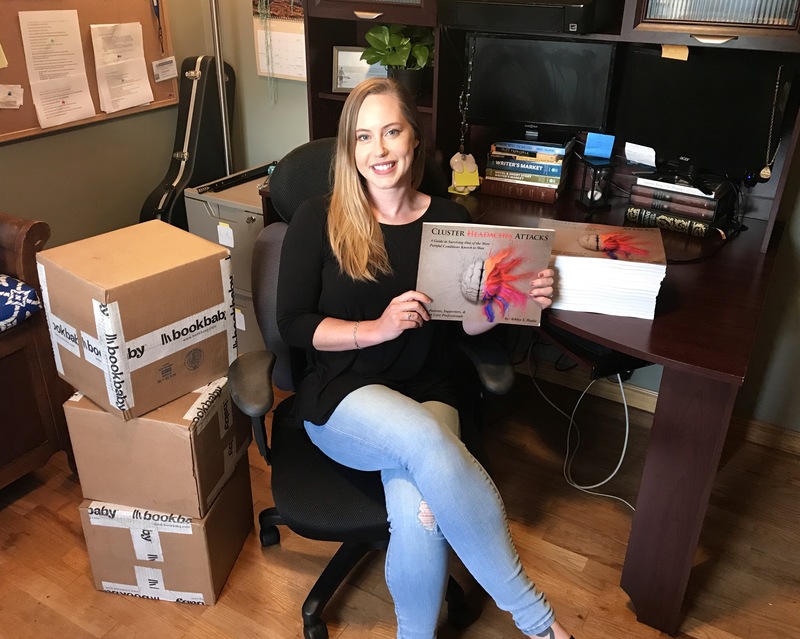 If you know someone with cluster headaches or have family members who struggle to understand what you go through, grabbing a copy of the guide to living with and understanding cluster headaches could be the perfect gift. 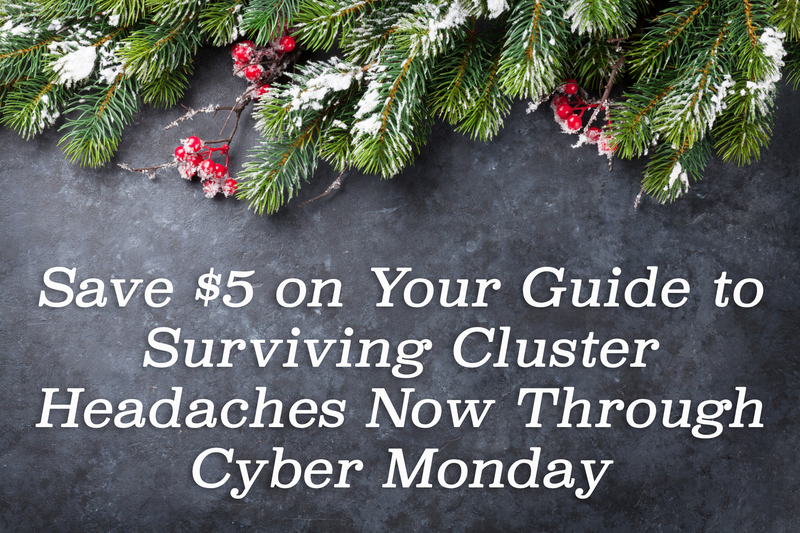 Now through Cyber Monday you can grab your copy of Cluster Headaches: A Guide to Surviving One of the Most Painful Conditions Known to Man for $30 instead of $35, or snag an autographed one for $5 off too! Learning to live with cluster headaches takes a lot of time. You lose a piece of yourself with each attack. The pain is so searing that you want to forget about it as soon as it’s over, but it’s not over. The next cluster headache attack is just a few hours away, causing fear, anger, and depression to sink in. Only you can choose when it’s time to fight back. It’s easy to be a victim of this incurable disorder, but it becomes more bearable when you decide it doesn’t define. Now, I know it’s not this easy for chronic clusterheads. Being episodic gives us the opportunity to feel “normal” for a portion of the year because we’re in a cluster headache remission, but chronic patients seem more resilient than many episodics I’ve met. How? By making the most of the pain-free time—whether it’s hours, days, weeks or months. Many of you know I recently published a guidebook to cluster headaches for patients, supporters and medical professionals. It took three years of interviews and research to compile the book that goes into details about what an attack feels like, the difference between cluster and migraine, treatment options, and tips on how to cope with “suicide headaches.” However, most of that work was done in just six months. I had to put the book away several times because the cluster headaches came back each time I made progress, but over the last summer, I realized it was time to put away my fear and capitalize on my remission period. I spent every free moment working on the book for four months because I knew if I didn’t do it before my next episodic cycle, it would be another year or two before it was completed. Now, as I enter week three of my fall cycle, I’m so glad I pushed myself to finish this project and a few others before the pain set in. I’ve heard a lot of episodics, including myself, say that they do every activity they can during their remission. For several weeks or months a year, cluster headaches take over your life, so when you’re finally free, you feel that the world is at your fingertips. My project this year was to finish the cluster headache book before my remission ended a few weeks ago. It kept me driven and focused, which left little time to dread the upcoming pain. Being able to dive into a project such as a book, event participation such as Clusterbusters conferences, etc. made the last few months less nervewracking. I knew I had a timeline and that pushed me to do as much as I could before the inevitable happened. I’m not the only one to do this. Making the most of your pain-free time is something many of us try to do. We may be sick (whether episodic or chronic), but it doesn’t have to define us. Think about what you’re passionate about, be it something cluster headache related or a subject more personal and close to your heart. My cycles last nearly three months, and it’s around month two (usually December) when I really start to struggle. I try to look forward to something such as being able to go out to dinner without worrying about injections and being away from oxygen. I look forward to drinking red wine again, and bacon. Bacon is a big trigger for me, but it’s also one of my favorite foods. What I look forward to most is the clarity of mind that comes when the cycle finally ends. I can rejoin the world and be social again. I used to fly to see a friend in California at the end of each cycle, which was my favorite thing to look forward to. Each of us is different though. You’ll need to find what inspires you most to keep going when the cluster headache “beast” is knocking on your head at 2 am each night. I’m looking forward to diving into finishing my fiction book (a fantasy novel about being stuck between life and death) in January. I know better than to put pressure on myself to do anything during this cycle. I also look forward to Headache on the Hill because it’s typically a month after my fall cycle ends. You don’t have to paint the Mona Lisa, write the next bestseller, or anything grandiose. Additionally, it’s more than okay if you don’t finish. Starting the project (and not feeling bad about pressing pause!) is the hardest part. It took me three years to complete the book for a reason. I went from working on it full-time for six months, to juggling a 40-hour work week and the book, to handling a 40-hour work week, the book and cluster headaches. It’s impossible to deal with everything life throws at you and finish your goals at the same time. Don’t feel bad that it’s not done, just start. I hope this is helpful to other episodic clusterheads, and maybe some chronics too. Cluster headaches don’t define you. You have talent and skill that shouldn’t go to waste when you’re not in pain. The Clusterbusters conferences are unmatched by any other medical gathering of patients. These annual events bring hundreds of cluster headache patients together, which is a life-changing experience for many, including myself. (The 2018 conference for cluster headache patients by Clusterbusters is in Denver, Colorado, September 13th-16th. Learn more and sign up here.) Bob Wold, the founder of the nonprofit organization, has dedicated more than 15 years of his life to furthering research and raising awareness for this misunderstood disorder. 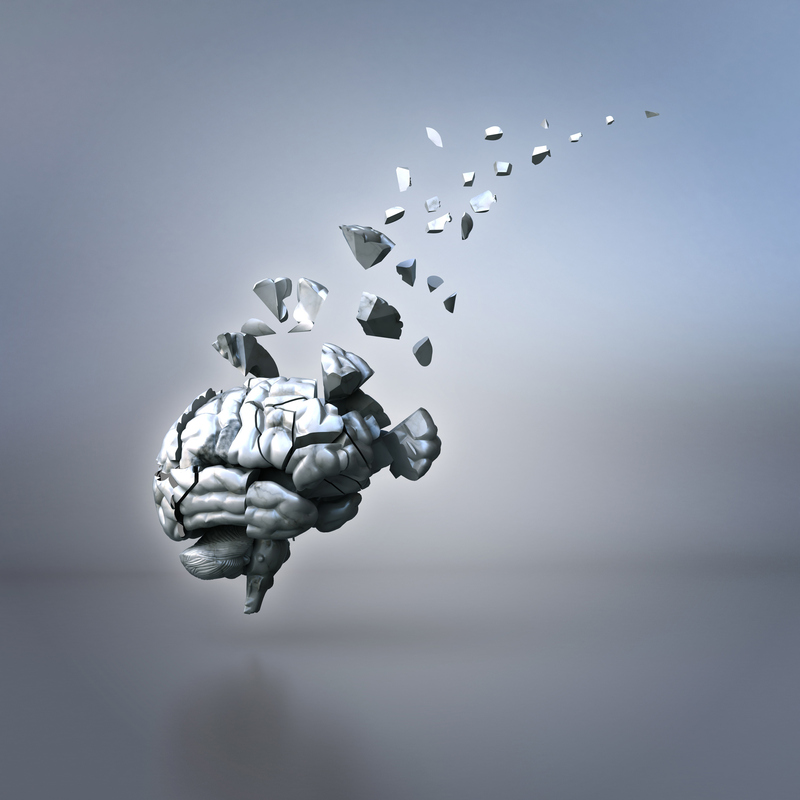 Clusterbusters spearheaded the research at Harvard and Yale with psilocybin and psychedelics. They’ve also contributed to the decreasing number of years it takes to reach a proper diagnosis. Ten or more years ago, it took up to eight years or longer for a doctor or neurologist to correctly diagnose a clusterhead, causing them to go years without high-flow oxygen and other essential treatments. Thanks to Clusterbusters and other head pain advocacy groups, the average time to diagnosis is closer to two years now. My first Clusterbusters conference was in 2014. I went to Nashville (the conference locations change each year. Denver is the 2018 location.) with a camera, a voice recorder and pen and paper prepared to hunker down and do more than a dozen interviews and soak in as much knowledge as I could. I found all of that and more. I walked into the welcome reception and found an overwhelming sense of love and understanding. Many of these people took me in immediately and shared more wisdom with me than eight months of research had taught me. My cluster headache book became more than an outlet of information for new patients. I needed to tell their stories. The trials that patients and their supporters face every day is more difficult than you can understand. 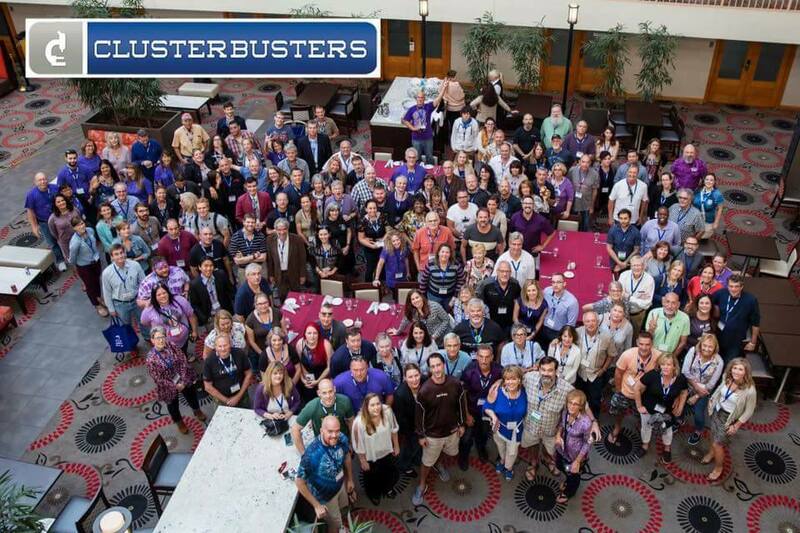 The 12th Annual Clusterbusters Conference took place two weeks ago in Chicago from September 14-16. There were more than 200 attendees registered, which is more than any other year. Ainslie Course was a fantastic moderator, and Eileen Brewer planned a flawless event as usual. Dr. Brian McGeeney, our favorite neurologist, from the Boston Medical Center speaks at the event every year. Dr. McGeeney and Dr. Larry Schor‘s speeches are the most important ones to sit in on for newcomers and returning attendees. Erika McDermott also gave a stunning speech about her personal experience that left not a dry eye in the conference room. Other speakers included Dr. Emmanuelle Schindler from Yale University, Hans-Joerg Tangermann of Germany, and many others. gammaCore® talked about their vagus nerve stimulator which has shown great promise in treating acute attacks, and Katie Golden, Dr. Robert Shapiro and I were on the Advocacy Panel to discuss how we can continue to raise awareness and funding for cluster headaches and other types of head pain. The Clusterbuster event reminds us all that we’re not alone and several thousand online viewers were able to see snippets of speeches. 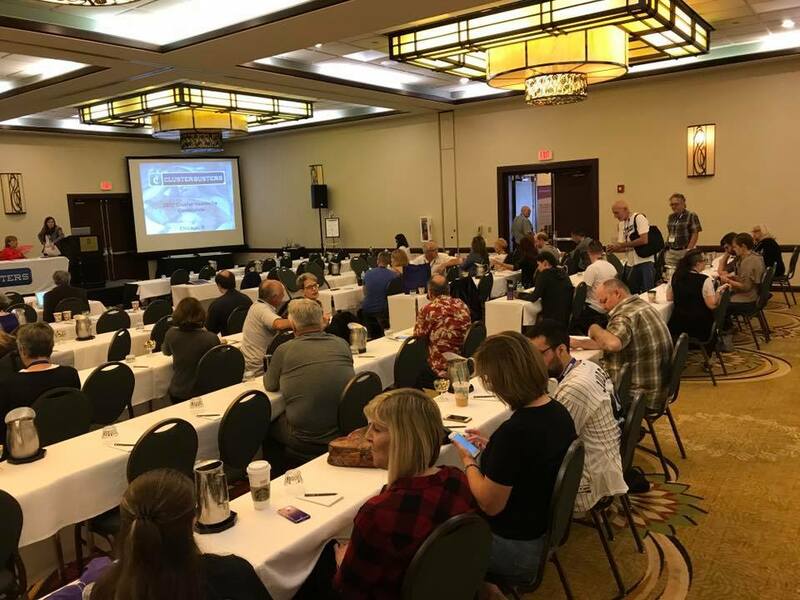 This year’s conference was particularly exhilarating for me because my book, Cluster Headaches: A Guide to Surviving One of the Most Painful Conditions Known to Man, debuted the week prior. Wold and Brewer were kind enough to give me a table to do book signings, and I sold out on the first day of the conference. 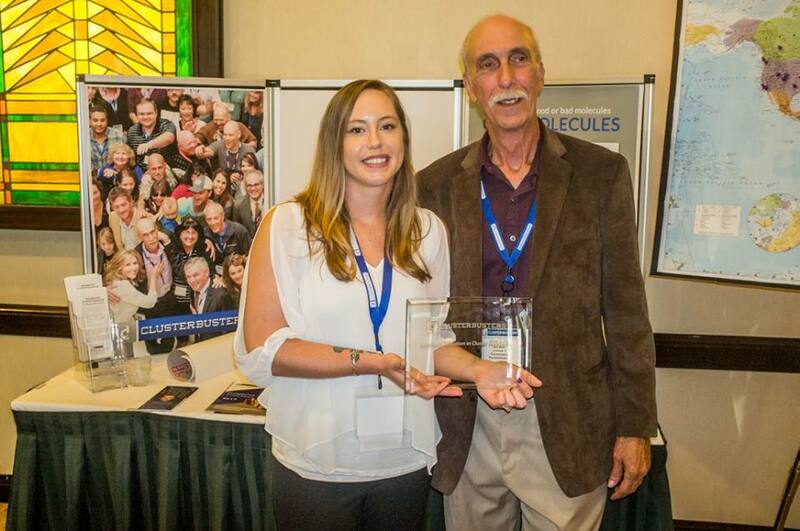 I was honored to receive the award for “Exceptional Education in Cluster Headache” from the organization. The most meaningful moment for me, however, was handing Wold a copy of my book. His experience and expertise along with many others made my book possible, and I’m truly amazed at the response to the book. I set out to help the newly diagnosed. I set out to write the book I needed when I was diagnosed. I ended up with a thorough guide to cluster headaches that can help new and old patients and also family, friends, and physicians of patients. I can’t praise this organization or event enough. I highly recommend attending one if you can. It doesn’t matter if you have clusters or if you know a friend of a friend who has clusters, this yearly gathering will forever change your perspective on living with one of the most insidious pains a human being can experience. If you’re interested in checking out the cluster headache book, view sample pages and reviews on Amazon and order a copy here or on Amazon Prime in the U.S. and Europe. 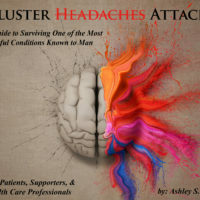 This book isn’t just for cluster headache patients. It’s for your families and your physicians. There’s a chapter on how to support someone with cluster headaches and another one on what doctors need to listen for and how to treat this painful condition. It’s for anyone in your life who’s struggling to understand your disorder, including you. From the steps to take following your diagnosis to how you can be involved in research and advocacy efforts, Hattle’s book provides a much-needed perspective and thorough information about cluster headaches using patient testimonies, research studies, and neurologist expertise. Buy your copy today at https://ashleyhattle.com/ or purchase an autographed copy at the upcoming 12th Annual Clusterbusters Conference in Chicago, Illinois on September 14th through the 16th.